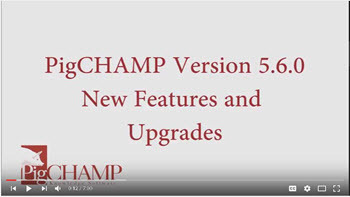 The video this month highlights each of the new enhancements that are a part of the version 5.6.0 upgrade. You'll notice that some features apply to both Reproductive and Grow-Finish users while others are specific to one side of the program. Want to view more videos related to different upgrade features? Check out the playlist on our YouTube Channel! If you would like to participate or find out more about our Benchmarking program, contact us via email at benchmarking@pigchamp.com.